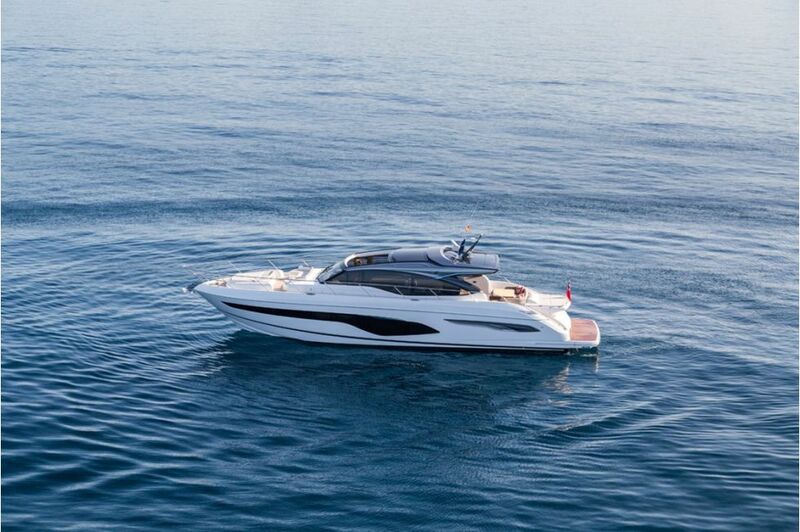 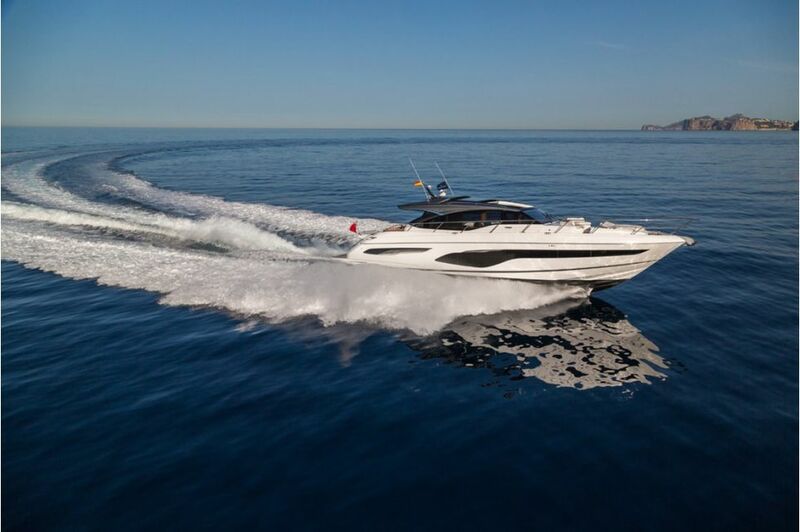 Powerful and progressive, the exciting, all-new V65 sets a new standard. 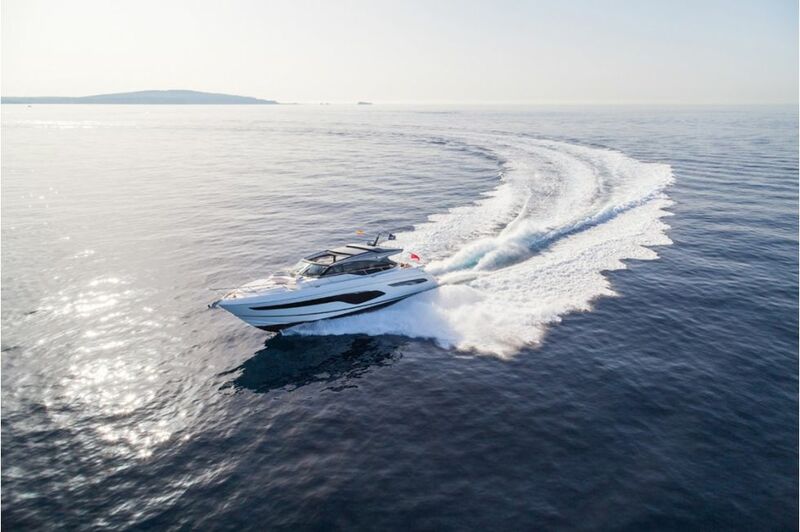 Her Olesinski-designed deep-V hull is optimised for greater lift and less drag, for lower planning speeds and greater efficiency. 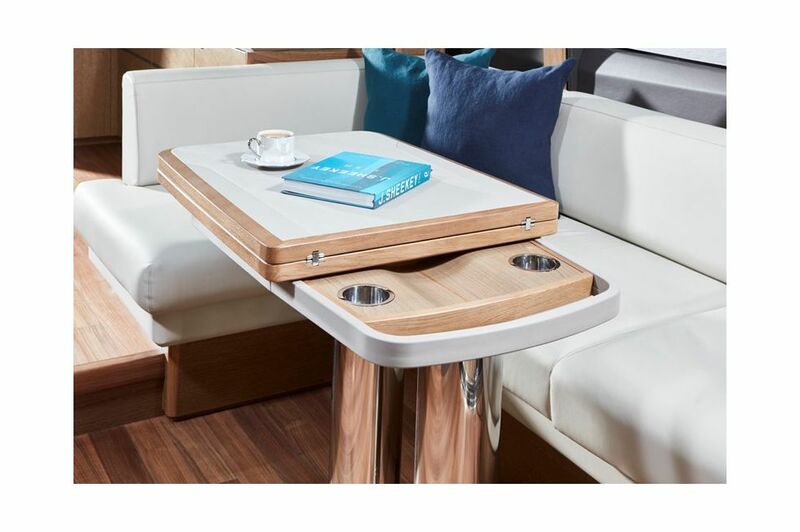 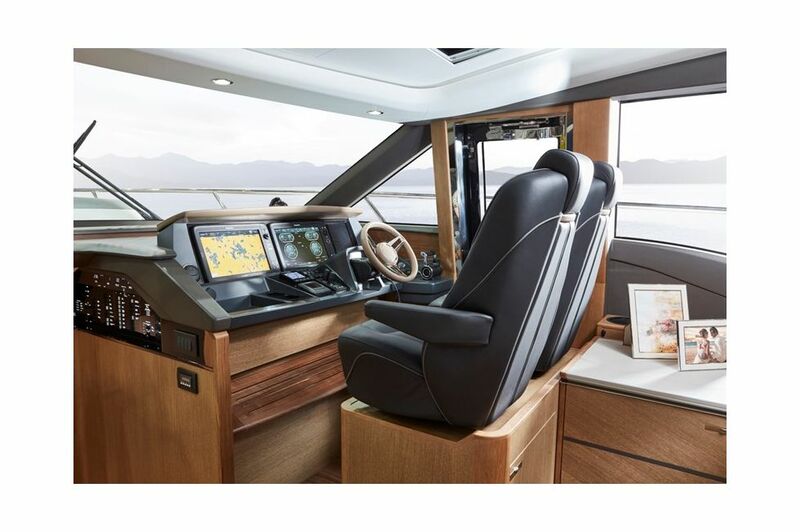 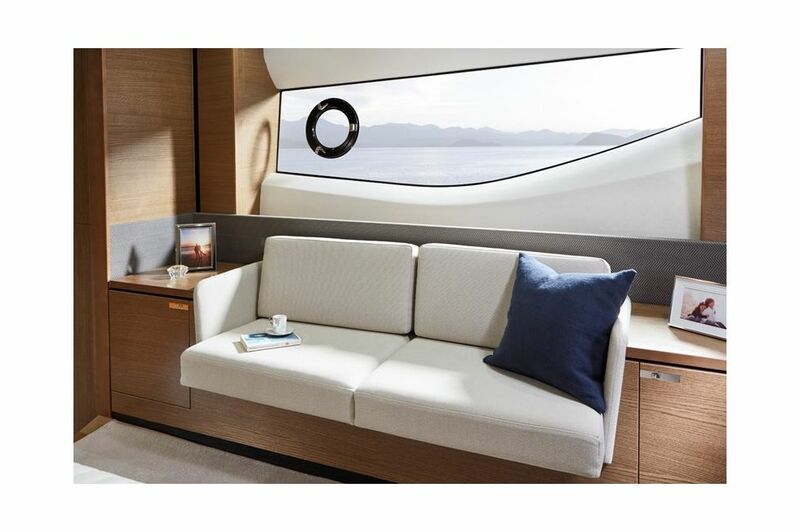 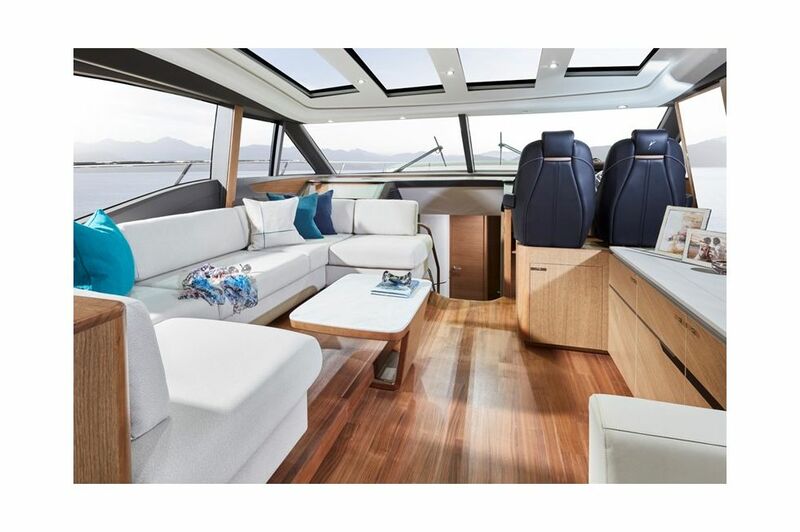 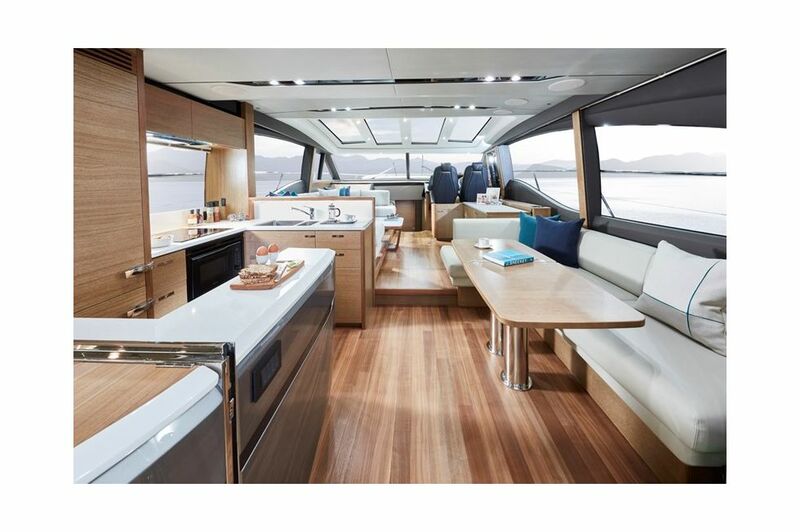 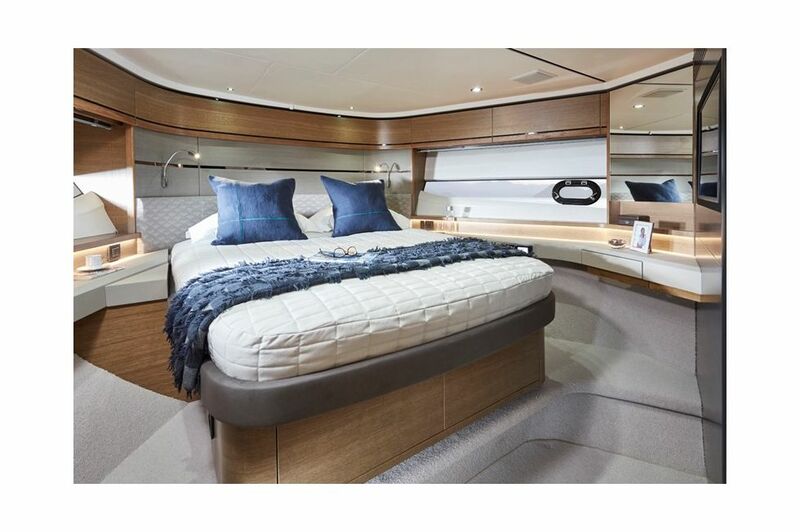 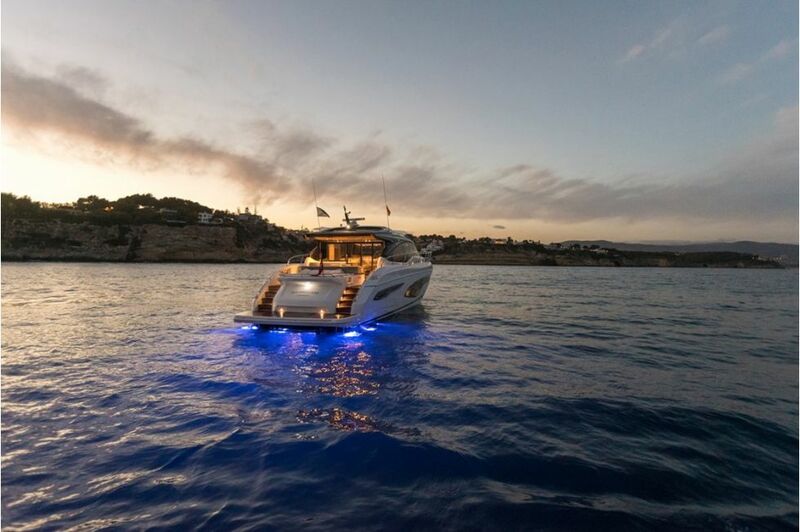 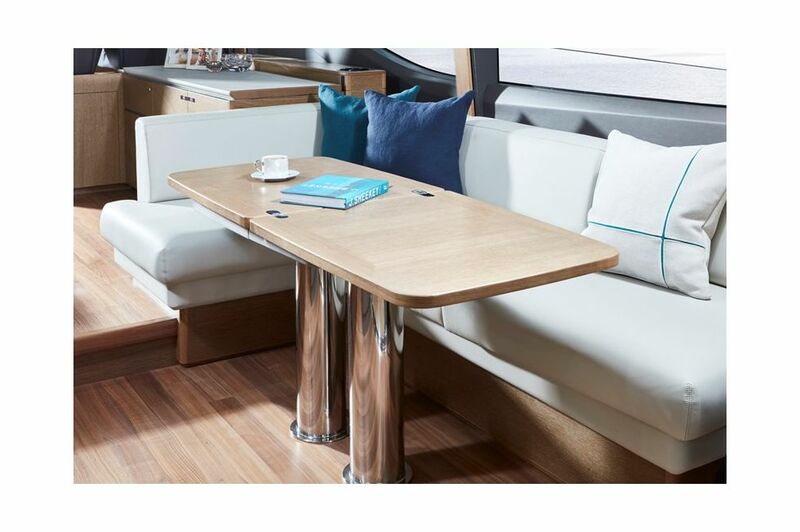 When entertaining, her spacious cockpit inspires relaxation with a sunpad and well-equipped dining area leading to the fully equipped aft galley. 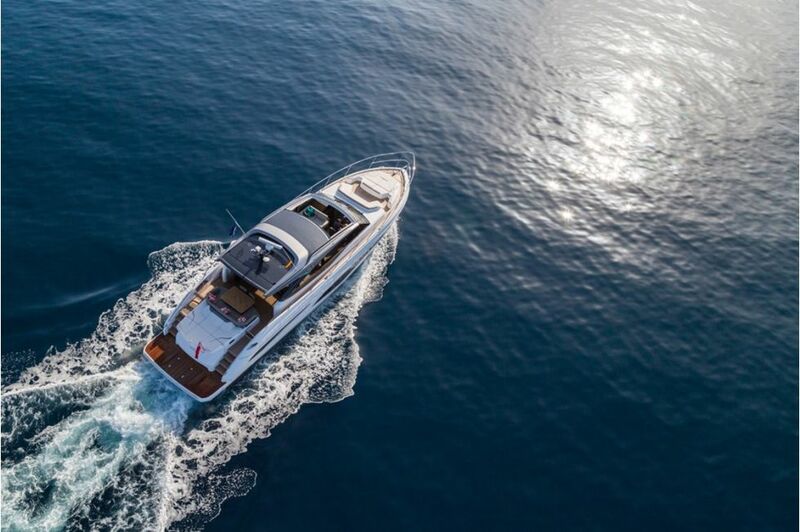 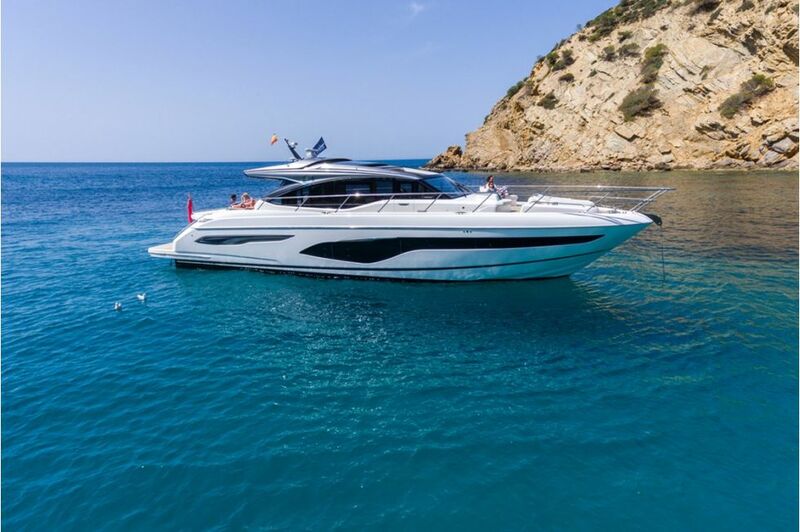 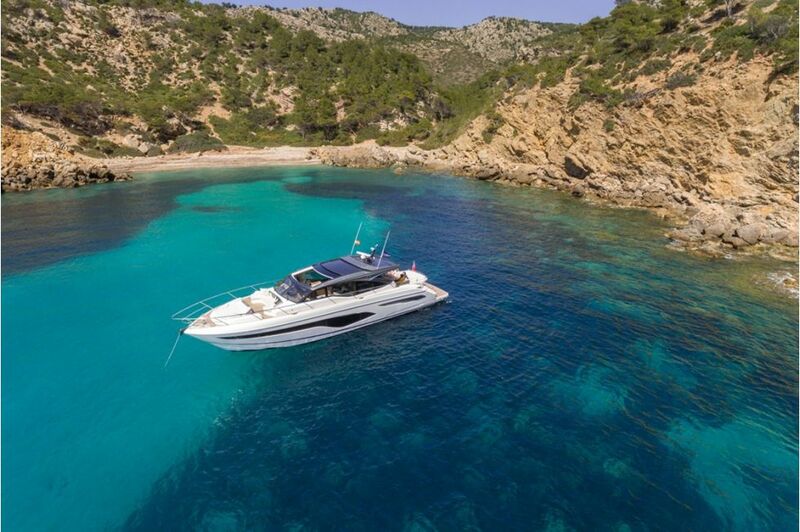 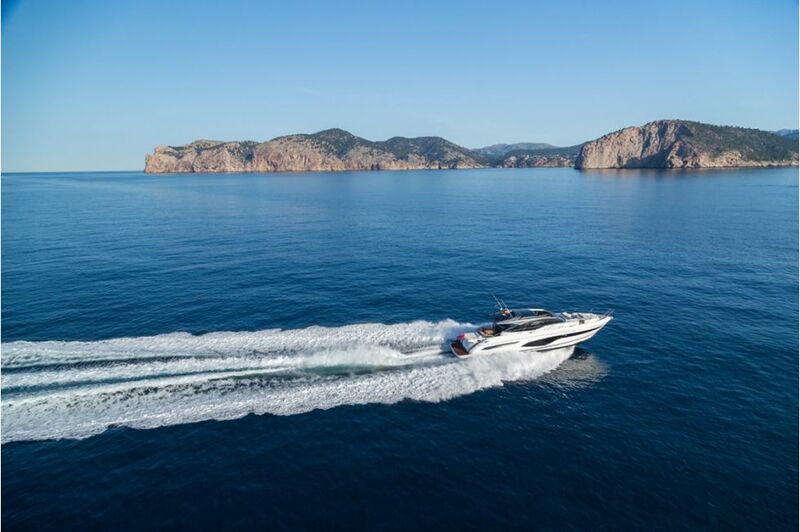 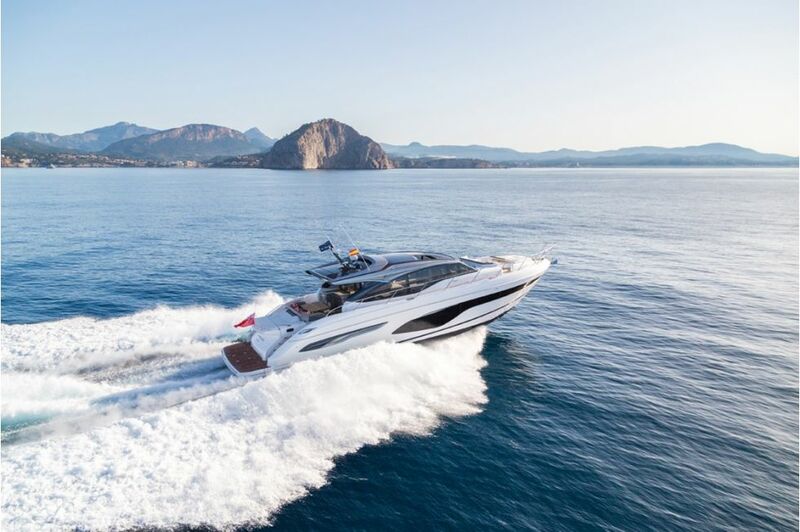 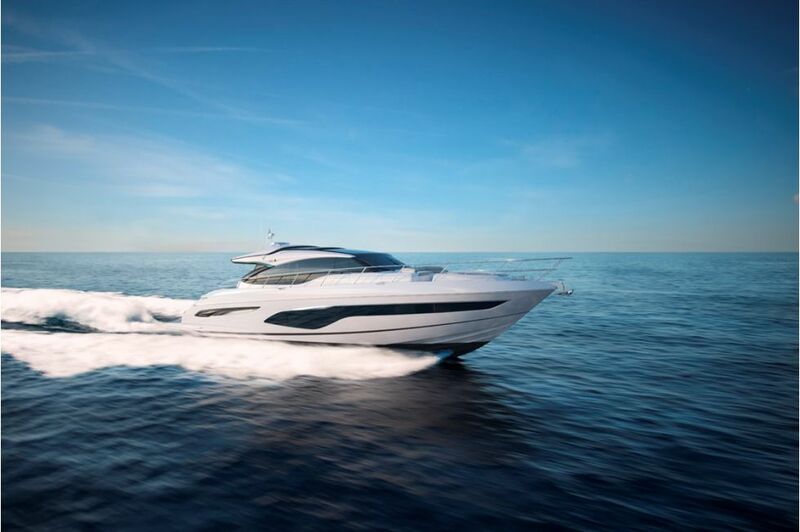 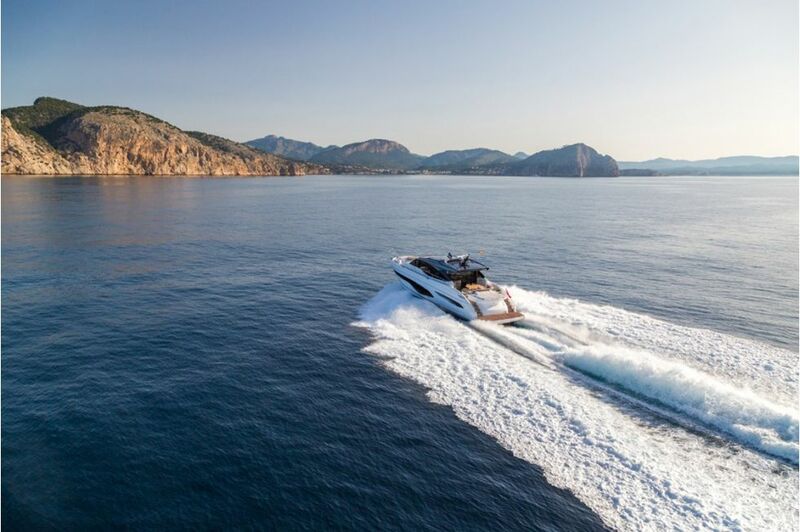 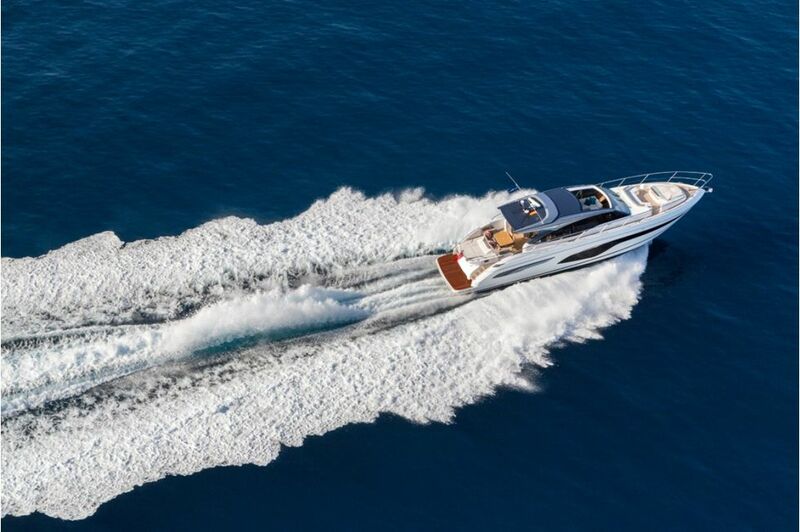 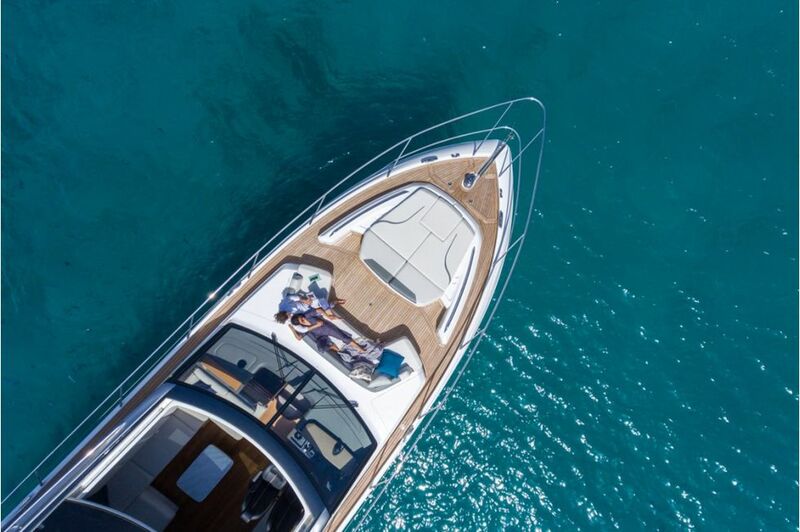 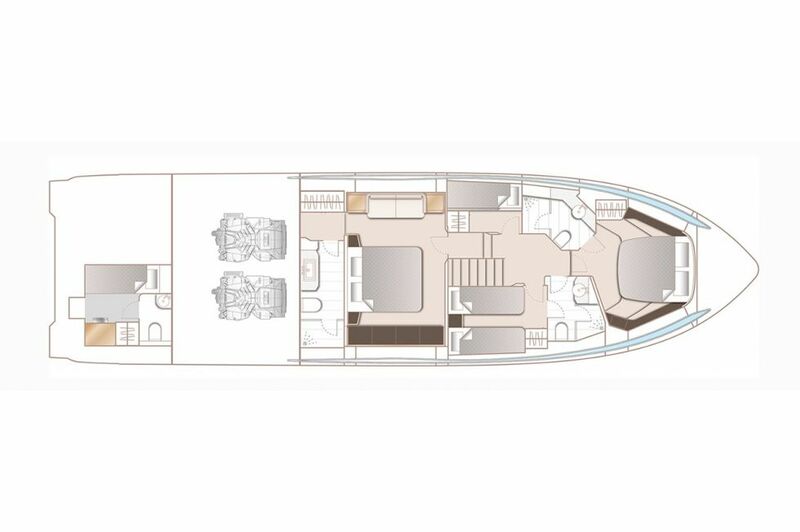 With five canopy blades to choose from and engines taking you up to 38 knots, the all-new V65 is as vivacious as she is valiant. 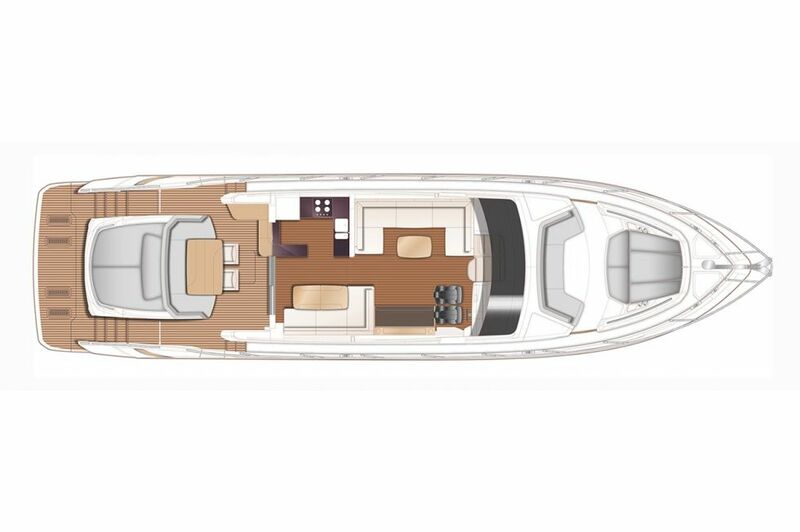 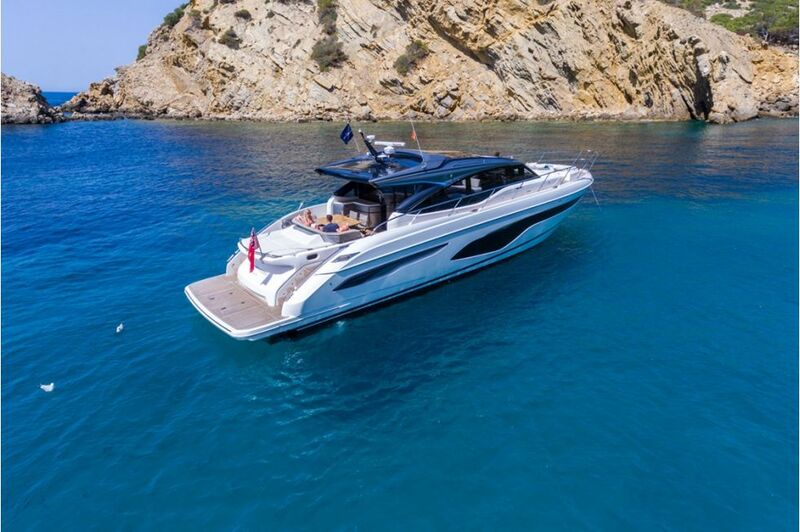 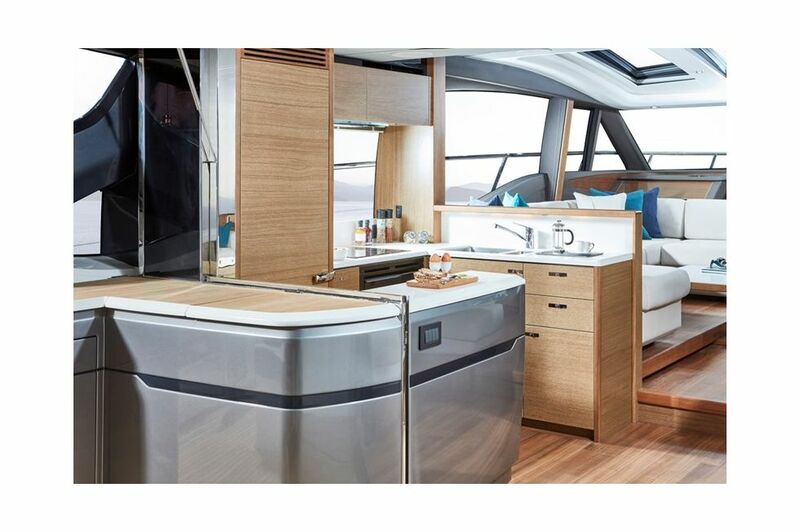 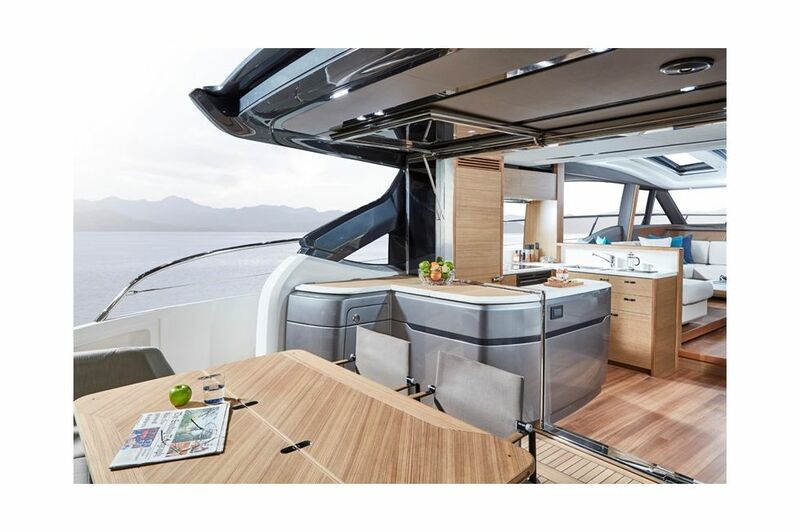 Her flexible saloon can be climate controlled or opened to the elements via triple sliding aft doors and a retractable sunroof. 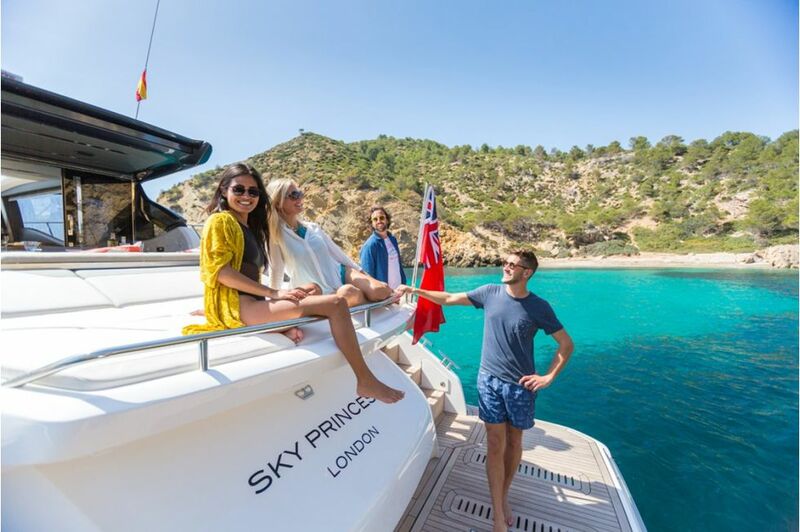 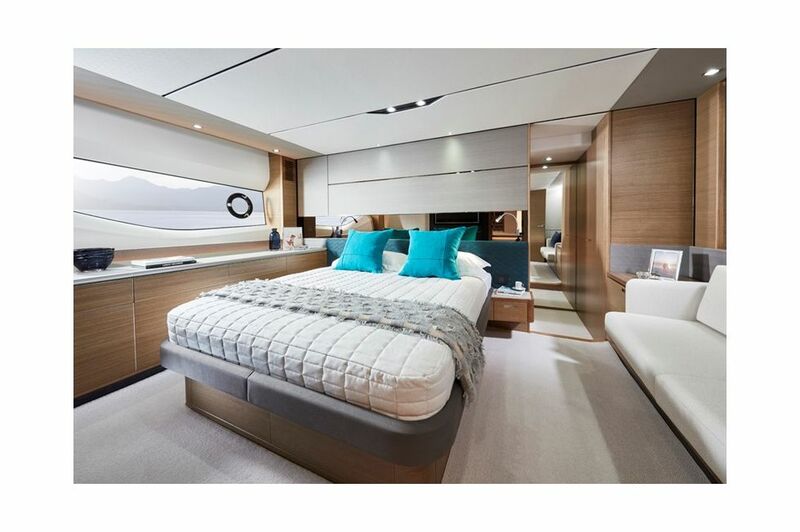 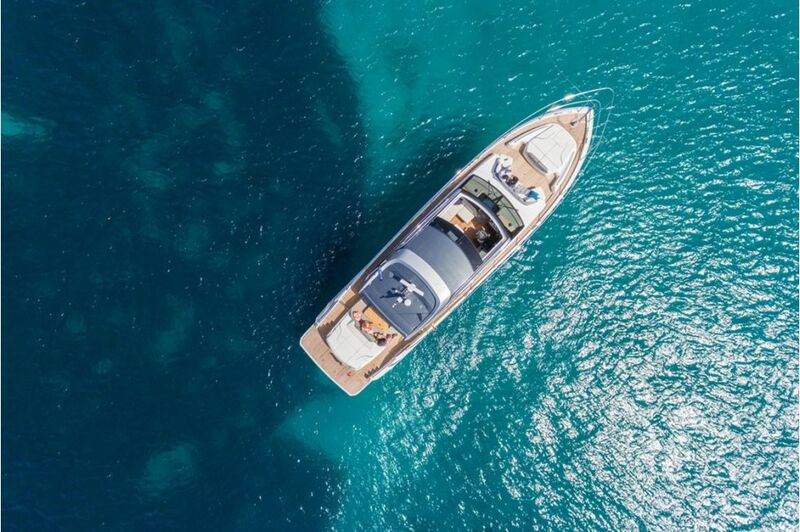 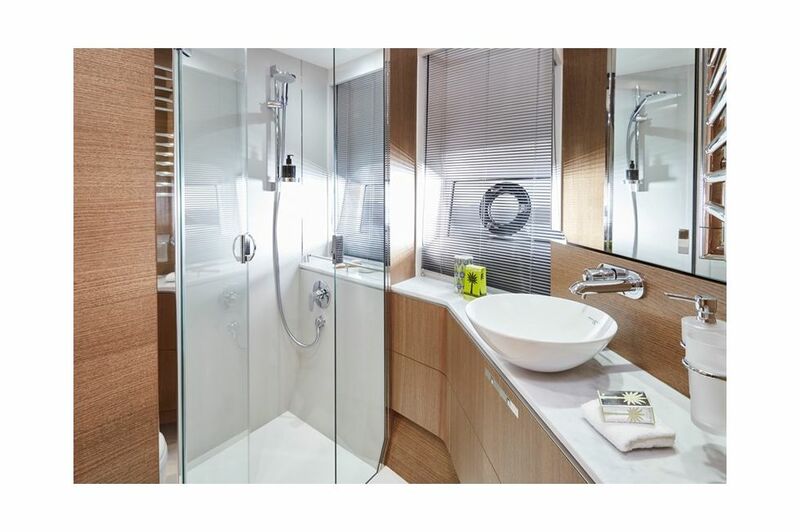 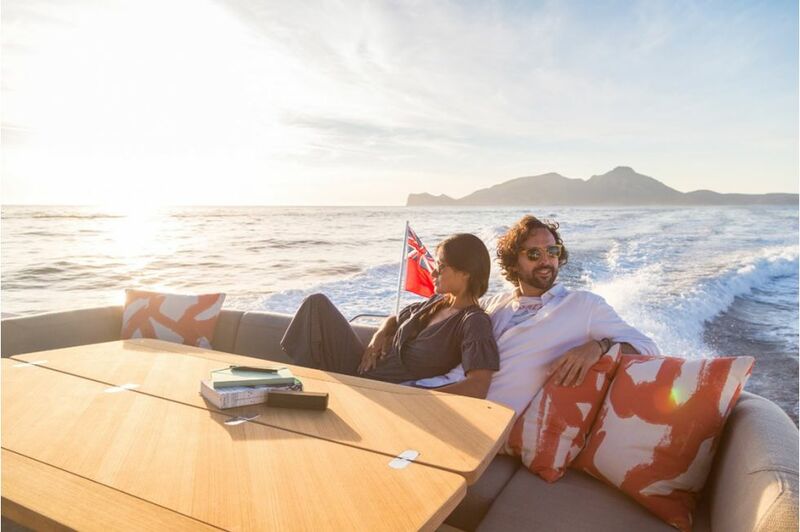 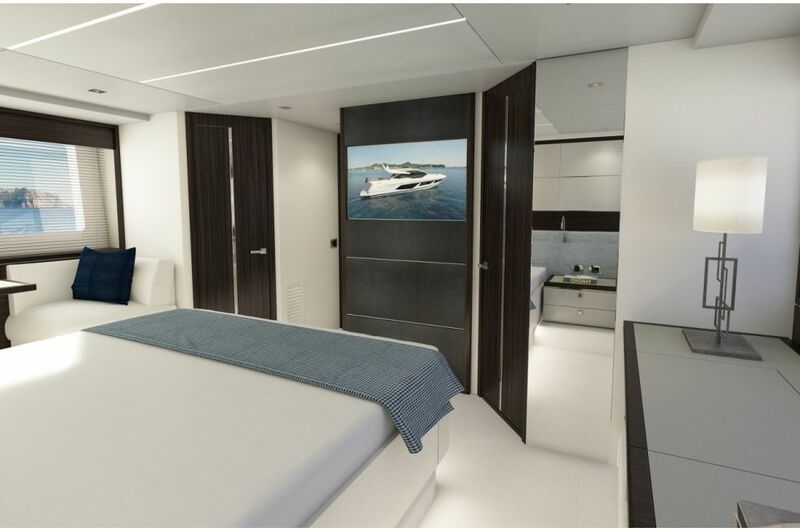 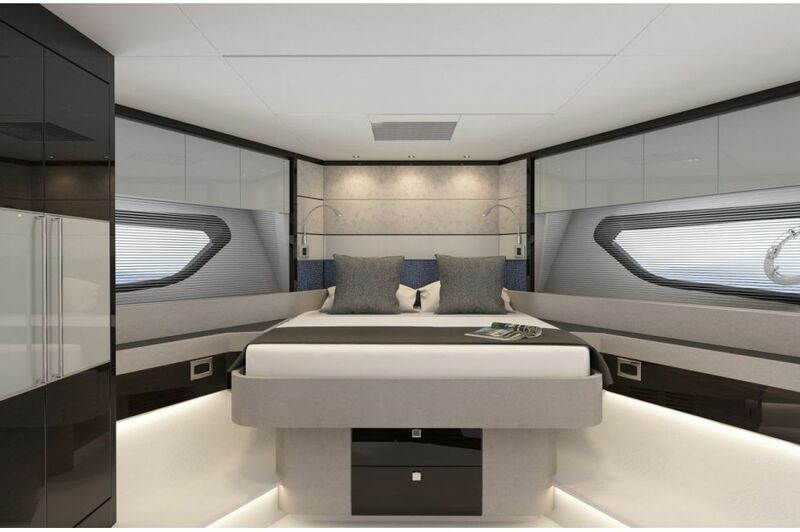 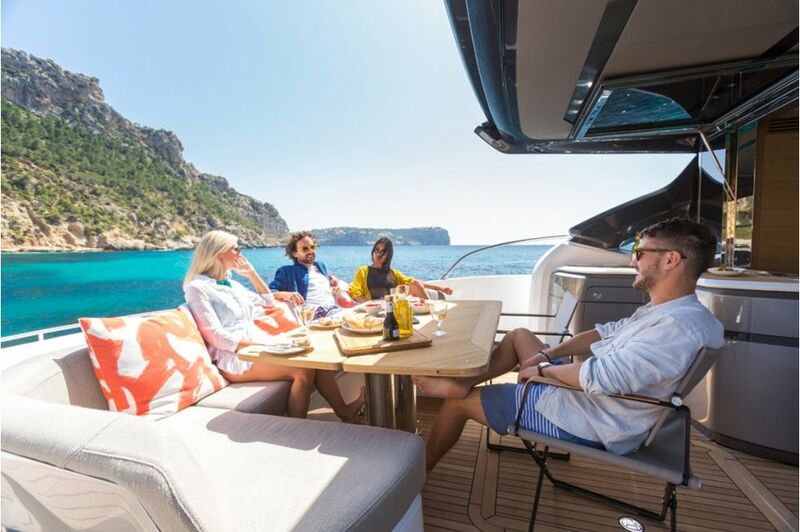 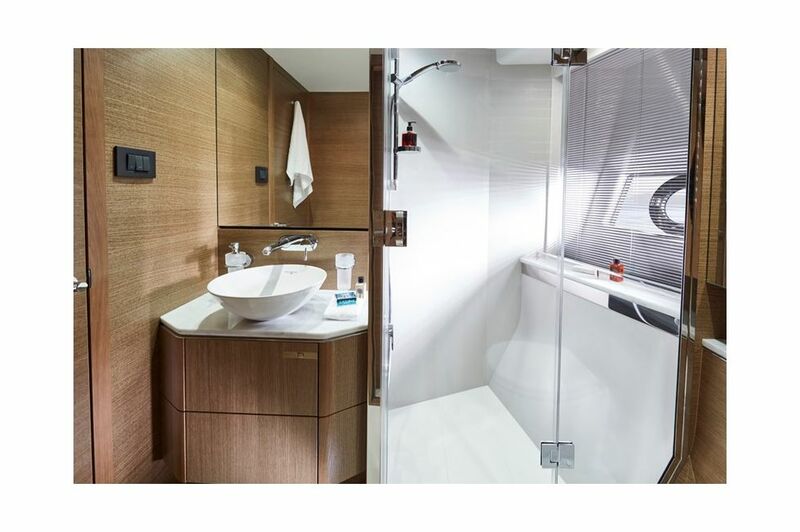 Below deck, eight guests enjoy four beautifully appointed cabins all bathed in natural light from elegant hull glazing, with the option of a further single cabin aft for occasional guests or crew.